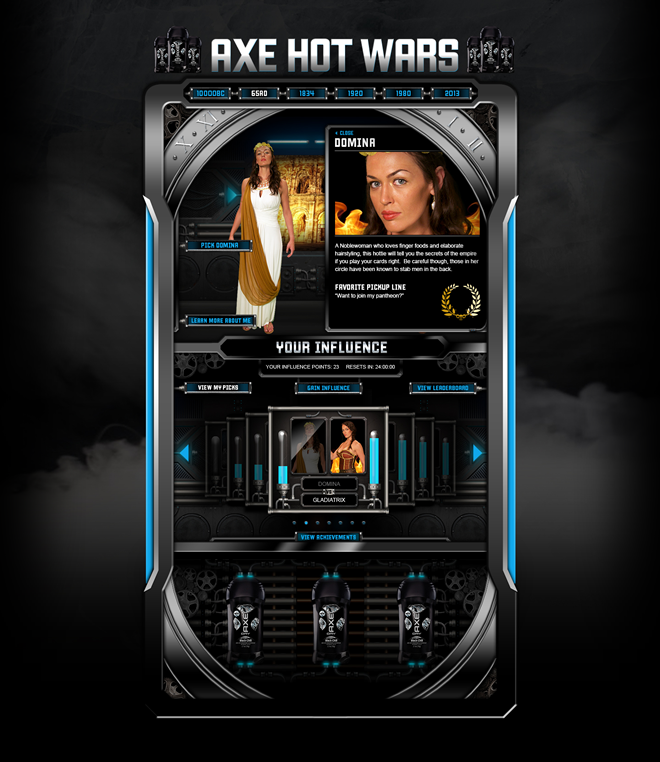 Axe Hot Wars (Digital/Social/Mobile) — HI, I'M CARL. Girls are getting hotter and it's causing guys to lose their cool and there's only one way to win it back. A battle in each era awaits. Alter history with your decisions. Six eras. Six battles. Twelve girls. This is Hot Wars.